Macrocyclics, chelating agents for medical applications. 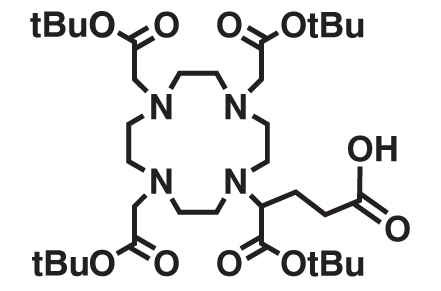 Providing tools and solutions in the field of nuclear medicine for site-specific bioconjugation, advanced chelating agent technology, and peptide intermediates. Macrocyclics introduced its cGMP manufacturing services in 2005. Our quality system is designed specifically for the manufacture of APIs to be used in clinical trials. Our team provides comprehensive technical support for all catalog products. We also offer custom synthesis, contract manufacturing, and project consultation tailored to specific needs. At Macrocyclics, we listen to client requests and are excited to introduce new products in response to your ideas and suggestions. 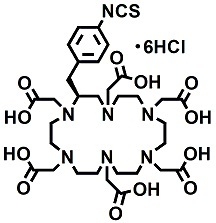 Macrocyclics is proud to introduce DOTAGA-tetra (t-Bu ester). Stay informed on new technology, partnerships, collaborations, and events. Meet us at the 10th International Symposium on Targeted Alpha Therapy.